Last week i was invited to a Jemma Kidd beauty event but unfortunately i was unable to attend so i was sent a couple of the Jemma Kidd cosmetic products. 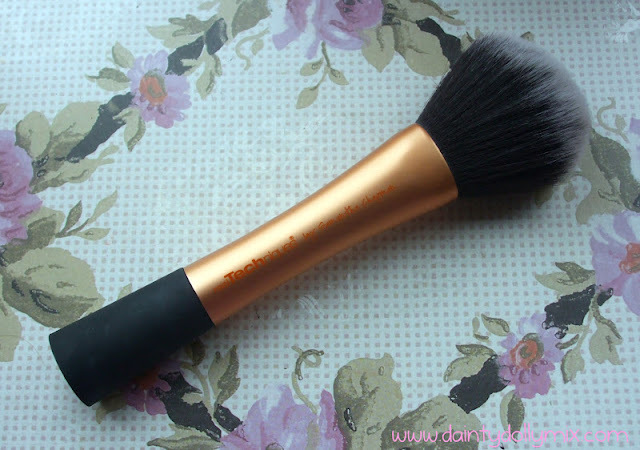 Jemma Kidd is a brand i have heard so much about, especially in the beauty blogging community as their light of air foundation and the dewy glow radiance creme are a big hit on beauty blogs. I was sent a powder blush and a lipgloss from the range. 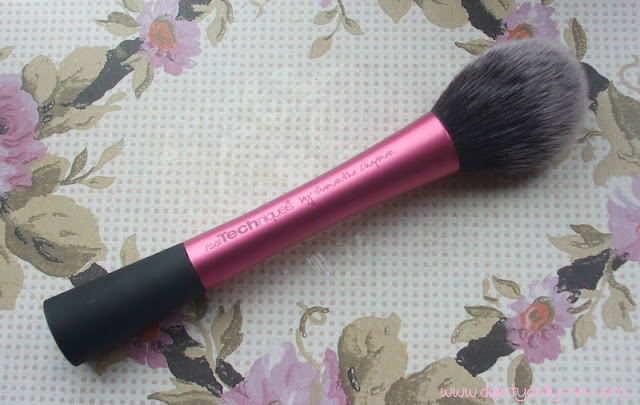 The blush is the Chic Cheek Powder Blush in 02 Paris that is a dark berry toned matte pink. It comes in a vibrant pink box with a cut out window so you can see the actual product. The blush itself comes in a clear plastic compact with JK Jemma Kidd written on the top in bold pink. 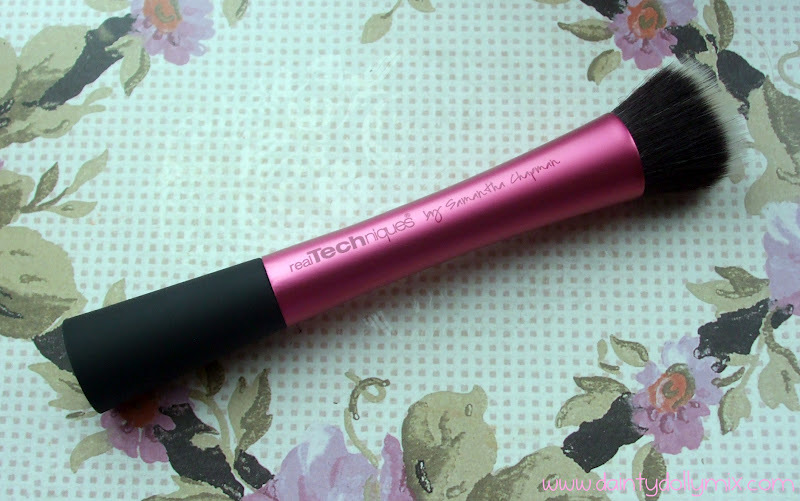 It feels buttery soft to touch and is quite pigmented in one swipe. One thing i would say is that the closure doesnt feel too secure as it just closes shut without a clasp. The blush is 5g in size and retails for £12 which you can buy from here. The lipgloss is the Air Kiss Shine Lipgloss in shade 09 Flaunt which is a sheer baby pink. It smells absolutely amazing and has a lovely sheen as it has a hint of shimmer running through it. It doesnt feel sticky at all on the lips and more like a balm. I think this would look gorgeous over a matte pink lipstick to give it a more glossy finish. They have a doe foot applicator which is my personal favourite in a lipgloss as i find you have more control when applying. The Air Kiss shine lipglosses retail for £9 and are available to buy on the Jemma Kidd Website. 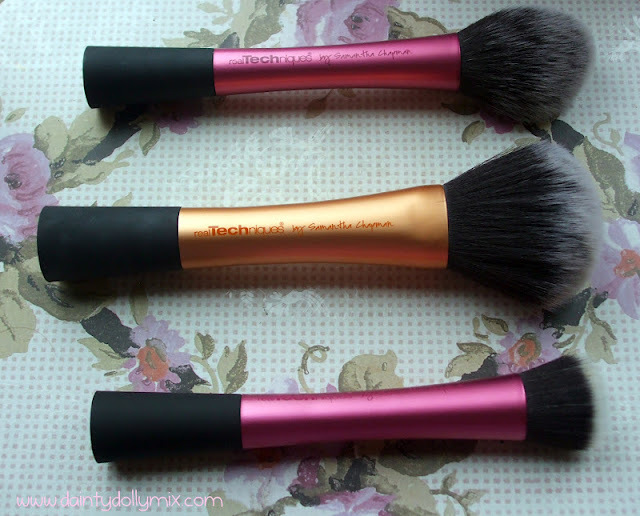 I really like and will use both products that i have been sent and think the price point is good as it is a little more expensive than drugstore but still cheaper than high end which is where i see the Jemma Kidd brand. 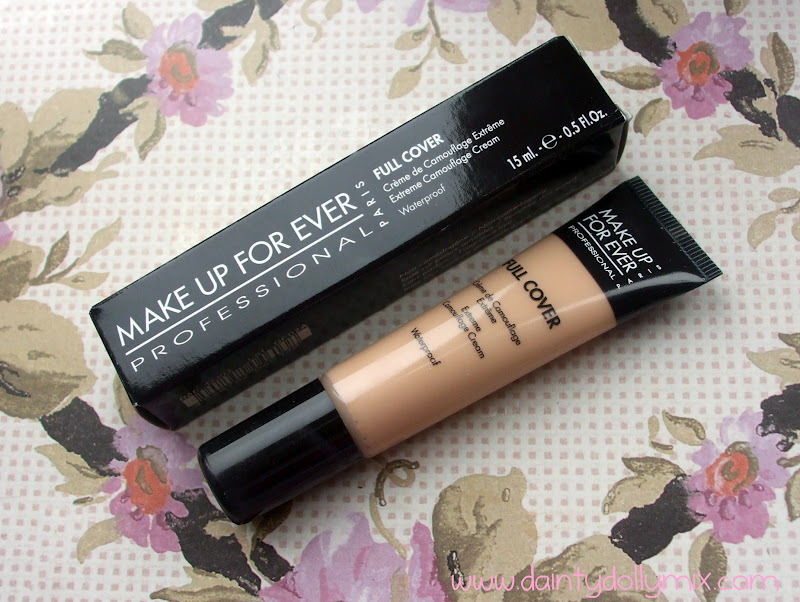 I would love to get my hands on the light as air foundation, that is definitely on my wish list! Are there any Jemma Kidd products that you love? 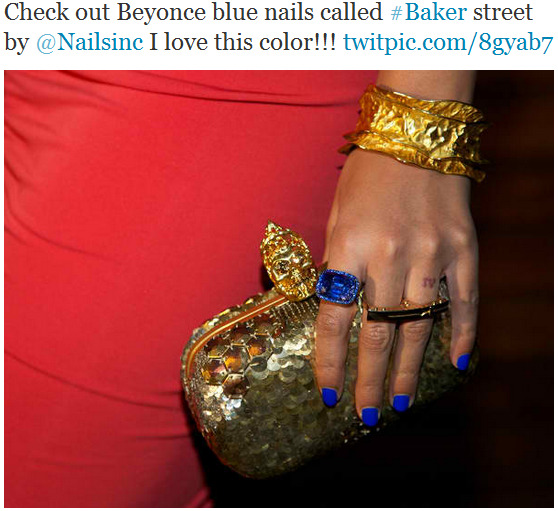 Baker Street* is one of Nails Inc newest nail polishes that has just been launched. 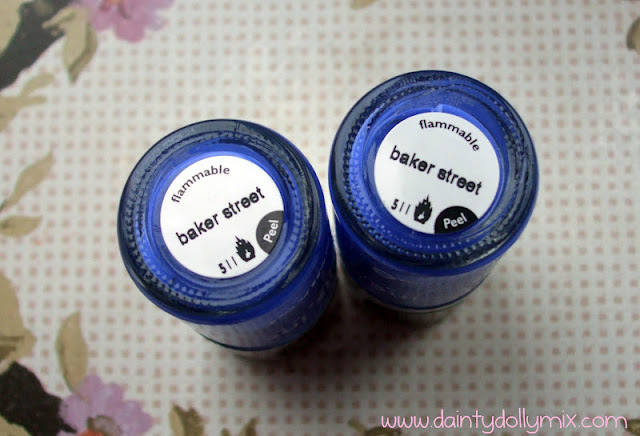 Baker Street is a bright, cobalt blue which i think is perfect for Spring and is a limited edition colour. It is such a striking colour, and unlike anything i owned previously. As you can see from above, this was painted over french white tips that you can still see ever so slightly with one coat of nail polish, to be absolutely opaque on these i think it would have needed two coats but you could possibly get away with just the one coat on natural nails. 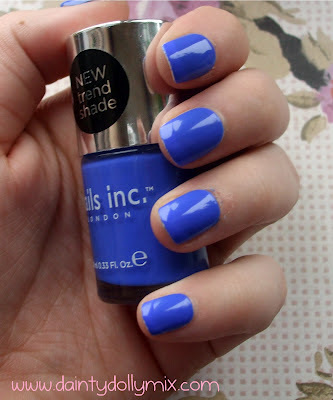 Nails Inc nail polishes are quite large bottles at 10ml each and the consistency was lovely and didnt streak, overall i was very impressed with the glossy finish! Such a gorgeous colour that i cant wait to wear again when the sun has got its hat on! 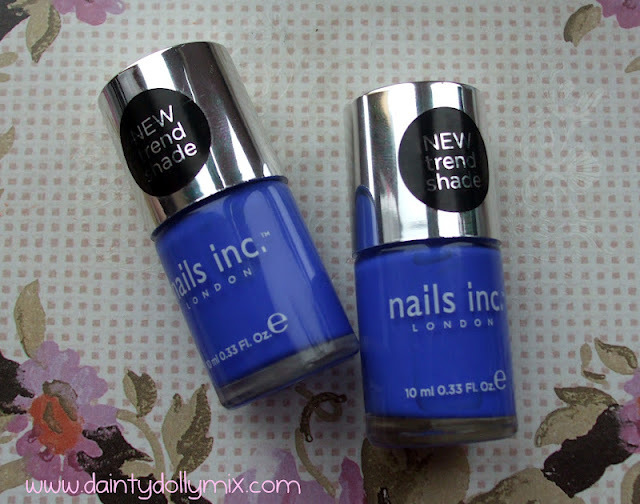 You can get your hands on a bottle of Nails Inc Baker Street now from Debenhams for £11. I also have a brand new bottle to giveaway! All you have to do is be a follower of my blog either by GFC or Bloglovin and leave a comment below! Easy as that! I will inform the winner in 2 weeks time, on the 30th March! Good luck everyone and thanks for reading as always!